After spending time with Alison Vuocolo discussing her efforts to get more women out bouldering, it seemed no less than necessary to profile Mercedes Pollmier. Mercedes launched Girl Beta back in January 2011, a website dedicated to igniting passion and inspiring the women's bouldering community by sharing knowledge through written posts and videos. It's definitely a site you'll want to keep your eye on! Mercedes hasn't always been a climber, but has a significant amount of experience as an elite athlete. After amassing a number of accolades as a tennis player, including an NCAA Division I scholarship, she started strength training with Dave Wahl out of the Paradise Rock Gym in Denver and became a member of the National Mauritian Tennis Team. 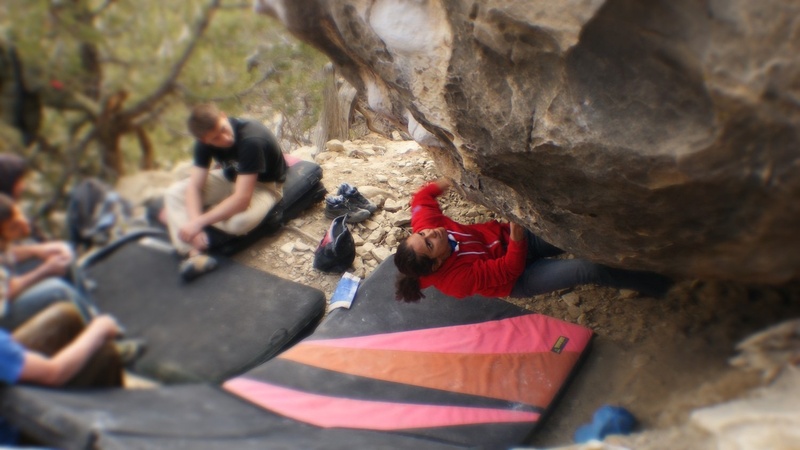 Despite her love of tennis, she couldn't resist bouldering on plastic while spending so much time in a climbing gym and learned to love the sport. Mercedes says she climbs because it's "a personal challenge, a problem to solve, [and] requires a lot of body awareness. The climbing community is a great thing to be a part of." Now, Mercedes is a strong, talented climber with ascents of problems like Dark Continent (V7-V8) and Authentic Battle Damage Stand (V8). Mercedes on Authentic Battle Damage Stand, Boulder Canyon. Mercedes was inspired to start Girl Beta during a road trip to Red Rocks. She'd searched for videos of women climbing the boulder problems she wanted to do, but couldn't find any. "Generally, there are not enough women climbing together and I would love to see more of that," she says. "I think [it] would take away some of the shyness, hesitation and fear of failure...sometimes, having the boys around can be intimidating and may be a limitation for some women." Mercedes recognized a clear lack of resources specifically for women to help them achieve their climbing goals. With that in mind, her aim was to create a blog that would help female climbers and generate buzz about women in climbing. Mercedes wants to help women unlock beta and sequences for specific problems they might not otherwise be able to work through. 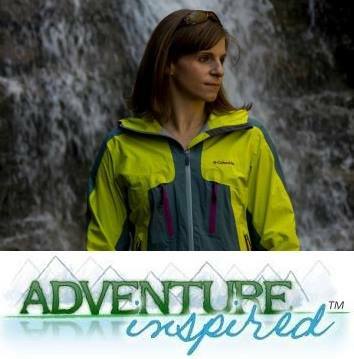 Pretty soon, Seattle-based women's-specific rock climbing clothing company Vertical Girl took notice, and is now the website's sponsor. According to Mercedes, the partnership makes complete sense. "Vertical Girl and Girl Beta share the same philosophy and goals in growing the female climbing scene." she says. 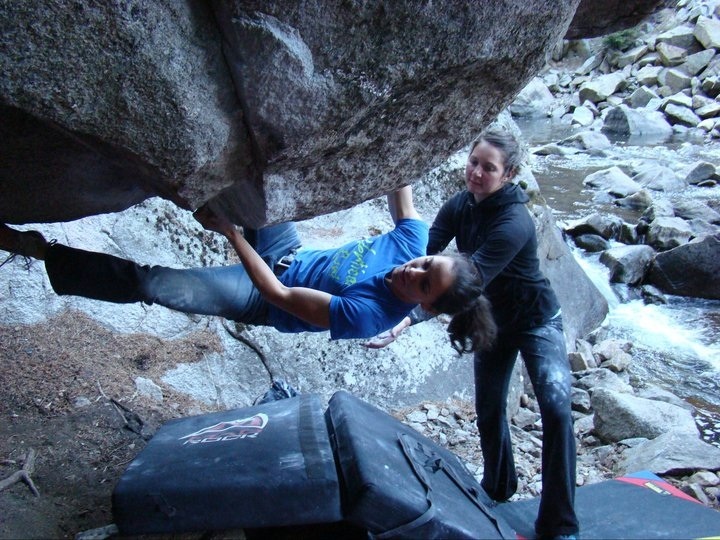 The two organizations are now working together to develop Girl Beta and hope to reach more of the climbing population. So far, Girl Beta provides information on problems in five states ranging from V4 up to V10. Mercedes climbing hard in Joe's Valley. But Girl Beta doesn't just exists as a medium for sharing videos of hard climbing. In keeping with the site's tagline, "Inspiration. Information. Improvement," Mercedes and the Vertical Girl team work together to share training tips and other knowledge with the women's climbing community. Recent additions in that section of the website include discussions about women's physiology and using video analysis to improve climbing technique with Flannery Shay-Nemirow. The women behind Girl Beta and Vertical Girl are working to inspire women who love to climb, and to help us all achieve our goals. You can help by contributing information, training tips and beta, by suggesting a problem to them, even by climbing with them! For more on how you can get involved, visit GirlBeta.com or send a note to info@girlbeta.com.